Local business owners have been waiting for the ability to respond to user-reviews via laptop, per Search Engine Land. It makes sense for business owners to relish this. As mobile savvy as they are, they may not want to reply to reviews on a phone due to personal perception, or are just used to working on a laptop during the work day. Using a laptop for these are (per Google) now an official option and it takes just seconds. Right now, I immediately think of Minneapolis/St. Paul area businesses such as restaurants, bars, laws firms, hospitality, and other service-based businesses who may receive Google reviews up over once a day. No matter where, you can most likely view the same or more. There are many through experience who have enough clout with Google that they take our responses, plus photos and anything else Google My Business (GMB) on the spot. For many others, it does take a few days at least. I do not know how immediately these replies take to go live. My guess is either on the spot or within a day. If you’re a local business or organization you can reply to business reviews whether you’re signed in to GMB or not. If not, here are the steps. If you’re in your GMB profile. That’s it! You’ve now replied to a local business review, of course we hope in a positive and compelling way. Happy replying! Creating a Google My Business profile has long been well-known as a local search must, even before your own website and for good reasons. Do a branded search for your local business, and chances are there’s a big knowledge box result for you whether you claimed, or verified it or not. You can create or edit your own. It’s easy and awesome. Partial Localmn Knowledge box. These are awesome. A home page of your business, if you will. Your Google My Business (GMB) profile is now often considered the home page for your local business. It makes sense. It’s highly visible, includes a link to your website, appointments or bookings, your own customized photos, including 360° photos, managing ratings and reviews, POSTS, and a lot more, actually. Organizing photos in Google Photos is a great starting point after claiming your business. They make it easy for you to edit your photos to your preference, and place them on your GMB profile. You can title each album for your own organization, describe each picture, and automatically have your deets stored in exact location taken, camera used, date and time, and even exact size. Photo proof of your own! 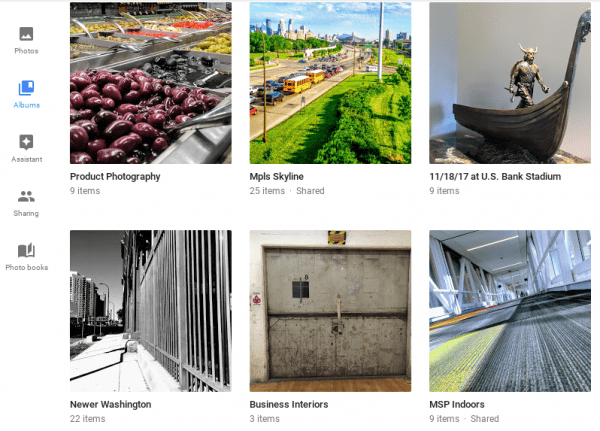 Eventually, when you need photos for your GMB presence, you can be comforted at looking at your photos account like a switchboard. Look at an album, select a photo, use them as your profile, cover, logo, and POSTS. We consider Maps Photography as quality photos with the intent to drive customers to your door. Include photos of your address, cross street signs and exterior 360° photos can imply and provide customers visual directions to you. Directions is arguably what the majority of customers are seeking. 360° Photo: Sign of the Mayo Clinic Gonda Building, reflection of downtown Rochester, move to view Methodist Hospital, the Kahler Grand and 2nd Ave SW.
After awhile, you’ll see that you’ll have enough real digital photos to use, without having to pay for fake stock photos. You know the ones. They’re attractive, with a smiling person pointing to a graph that goes up. Seriously, they’re horrible! An exception goes to Vince Vaughn and Dave Franco courtesy of @Buzz60 a few years ago, but I digress. These photos can easily be done with a few photo and editing tactics. You could include your own staff, being serious, or being cleverly comedic like above by including a local celebrity. I’ve never met The Fancy Ray, but I’m a fan and love his local commercials and outdoor billboards. I’d love to see him in local stock photos like this. Again, I digress. With a Street View app, (preferably along with a compatible 360° camera), you can create these photos publicly as long as Google accepts them to Maps. These are stored within your Street View app. Plus they can appear on your Google My Business profile, as well as providing an short, embedded code for you to include to media, social profiles, and content marketing strategies such as your blog. Back to your Google Photos and albums. You can easily edit any photo on mobile or desktop. Often, it can just be by selecting Auto to bring the photo to life a bit like this one at On-Demand Group. There are plenty of other edits that make your photos pop, and auto is just one of the more popular ones. We hope this helps your local business or organization. Happy Maps Photography to you all. Skål! Localmn Interactive provides Maps Photography services including Google Trusted Street View Photography, Google Trusted Verifier and Local Search in general Contact us to learn more! One thing I look forward to when going to Open Streets events is to look at local businesses and community involvement along the routes. 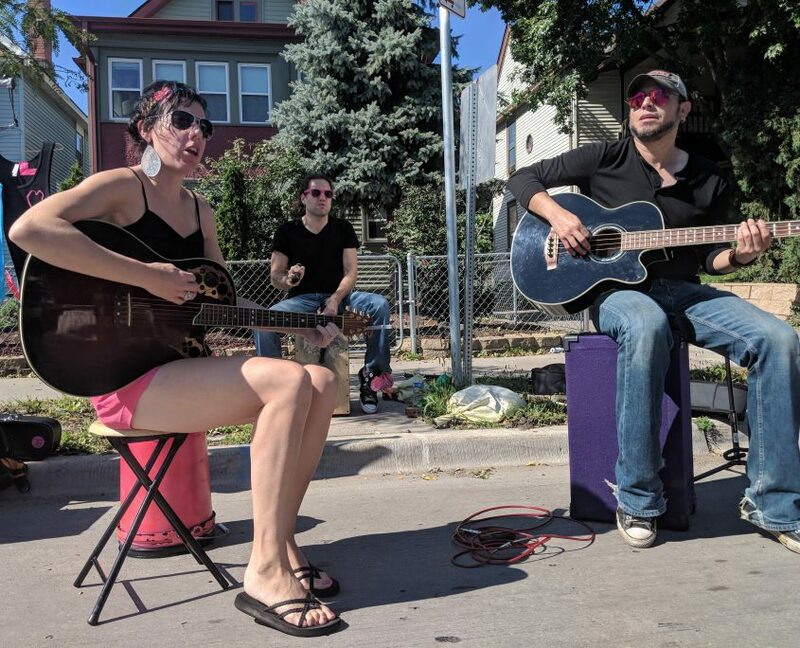 Open Streets Minneapolis – Nicollet is amongst my favorite. On a single lane street that’s usually too dangerous for drivers to view anything other than the road, these local businesses are often overlooked. It’s encouraging to see them all on foot, especially if they have an event presence in front of their storefront. I’ve been to the St. Paul Selby Revival a few times but not the one in Minneapolis. 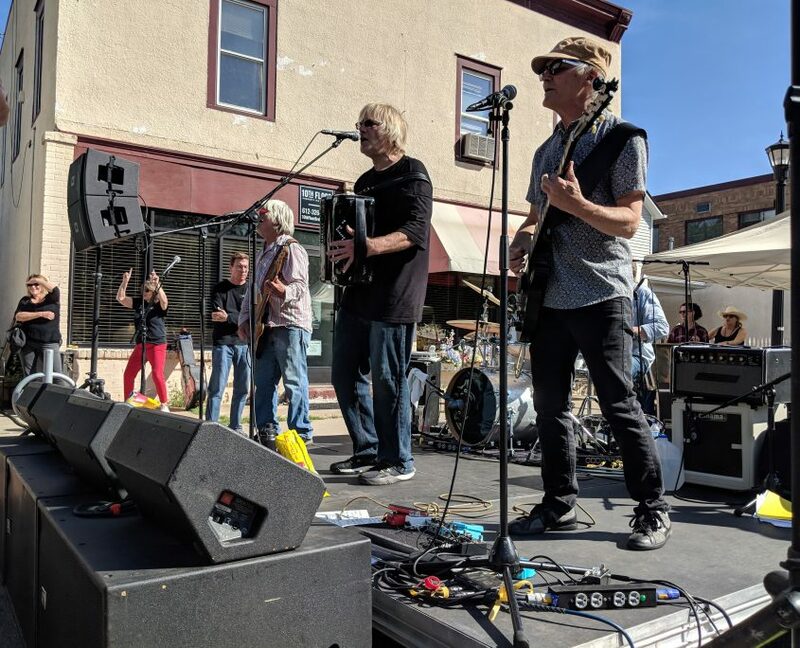 It’s right on the Open Streets Nicollet route and they engaged with the community by having different bands play throughout the day. I believe that the Minneapolis Revival chicken and waffles are available everyday and not just Sunday, but maybe someone could confirm or deny in the comments. Transit is a good way to get here, too. The 11 and 18 Metro Transit buses take you right here along with the Nicollet and Blaisdell Ave bike lanes that cover the jaunt. 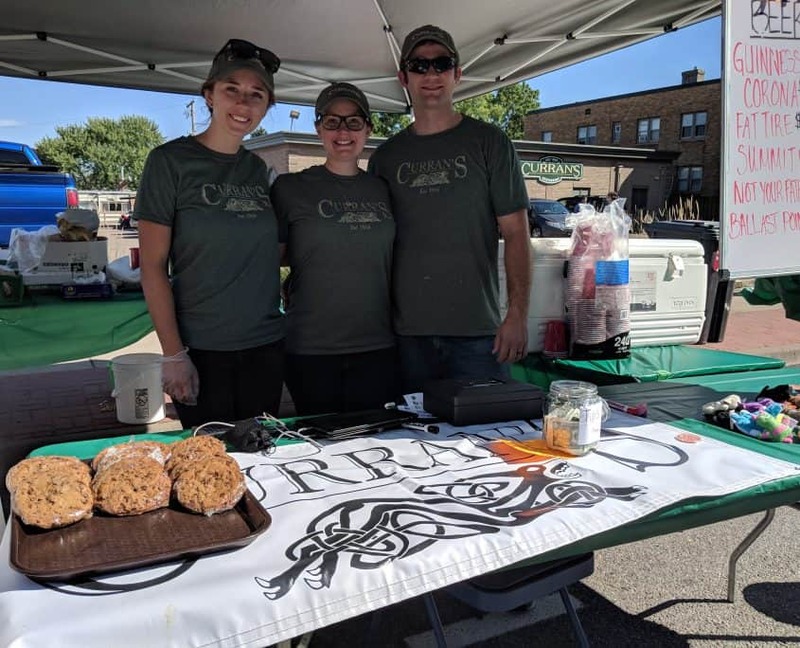 Curran’s Family Restaurant has been a comfort food staple for decades and is right on the route. Like Revival, the 11 Metro Transit bus and Nicollet and Blaisdell bike lanes take you right there. There’s a parking lot as well for drivers. They have what’s known as the tastiest Monte Cristo. They could’ve displayed for free in their own parking lot, but paid for the honor to be on the street in front of their own restaurant. I’m not a fan of this charge. However, they were selling cookies and beer on the street and were kind enough to let me take a quick photo of them. They even offered to let my phone juice up with one of their chargers, but I digress. Nicollet Hardware on Nicollet is a welcoming community store and community presence for the Nicollet Open Streets. Also, the most Minnesotan Google review and response you may find this week. 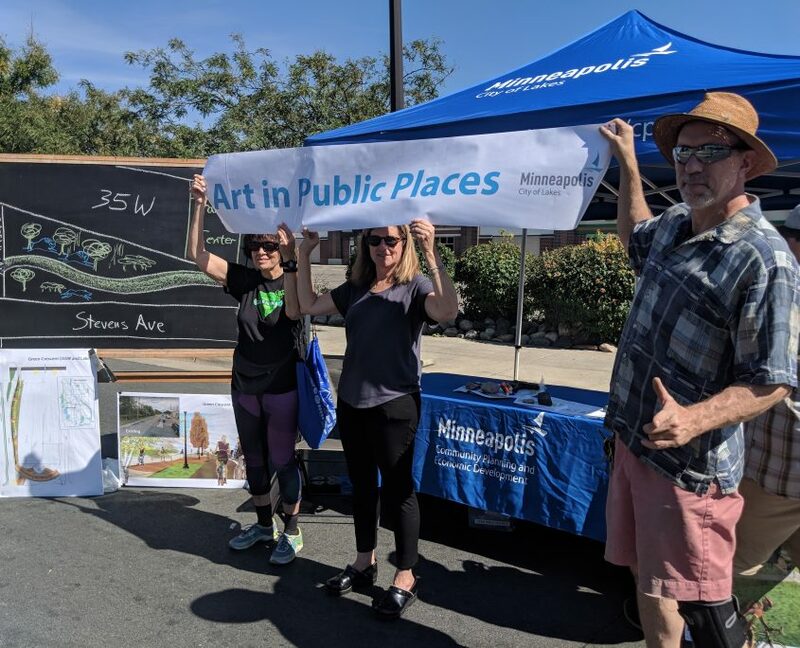 Here’s a visual example of using their space as part of the Open Streets Community. 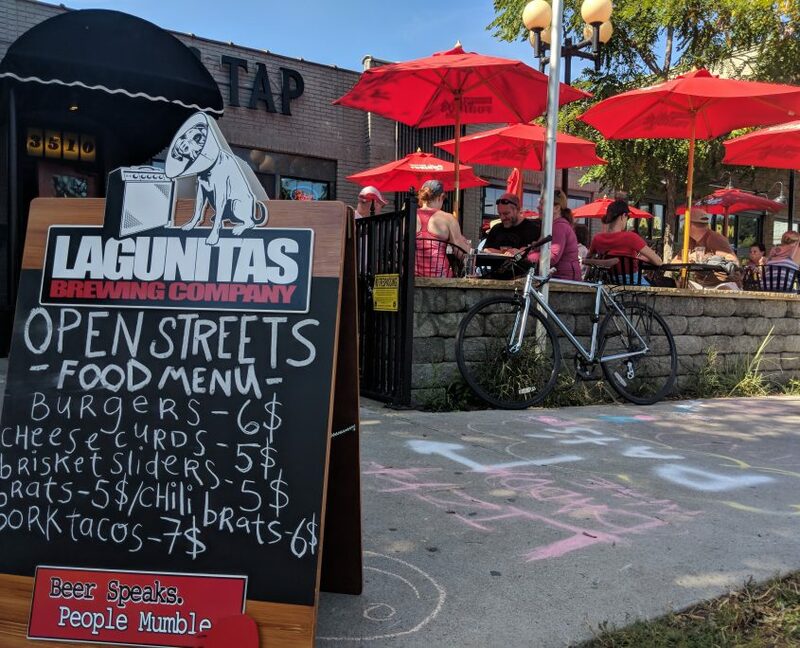 The patio at Pat’s Tap is welcoming for events like Open Streets, general people watching, of course their food, and the day of the event, Lagunitas specials. Like other Nicollet Ave businesses, it’s really easy to get to by transit, foot, or bike lanes. 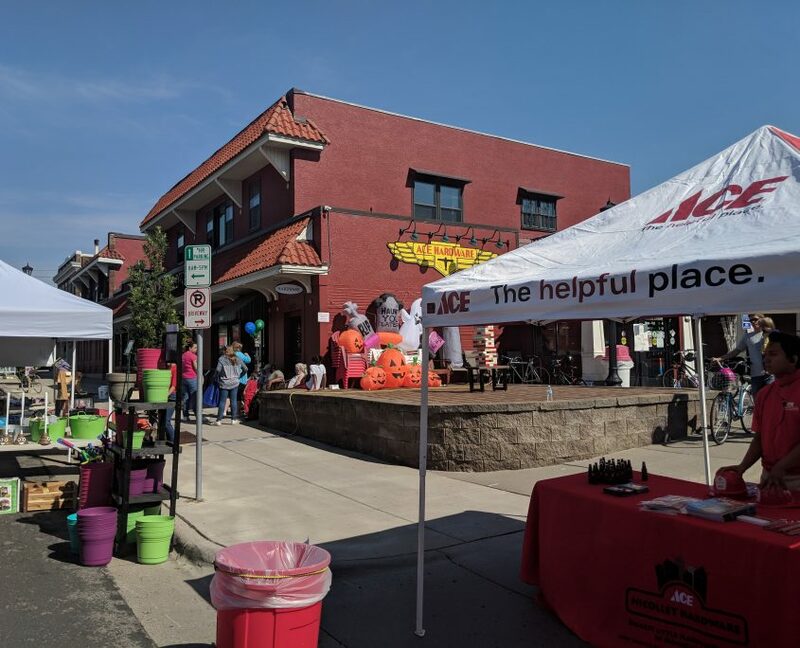 Protip: For you businesses and orgs on the Open Streets University of Minnesota + Motley route, consider a Google Post to help cross-brand your business along with the event. I’m always interested in learning how a few things tick, especially when it comes to bringing neighborhoods together in all four seasons. The Samatar Crossing post comes to mind as I’ve now used it a few times for either walking transportation or to see a soccer match at Currie Field. The Art in Public Places group were kind enough to show me the plan for the Green Crescent project and greenspace between Lake Street and the Midtown Greenway, just off the new-to-be Lake Street Transit Center. Just like the Samatar Crossing, they would be looking for public artists to help make it engaging through the greenspace. Open Streets is one way they’re getting the word out. 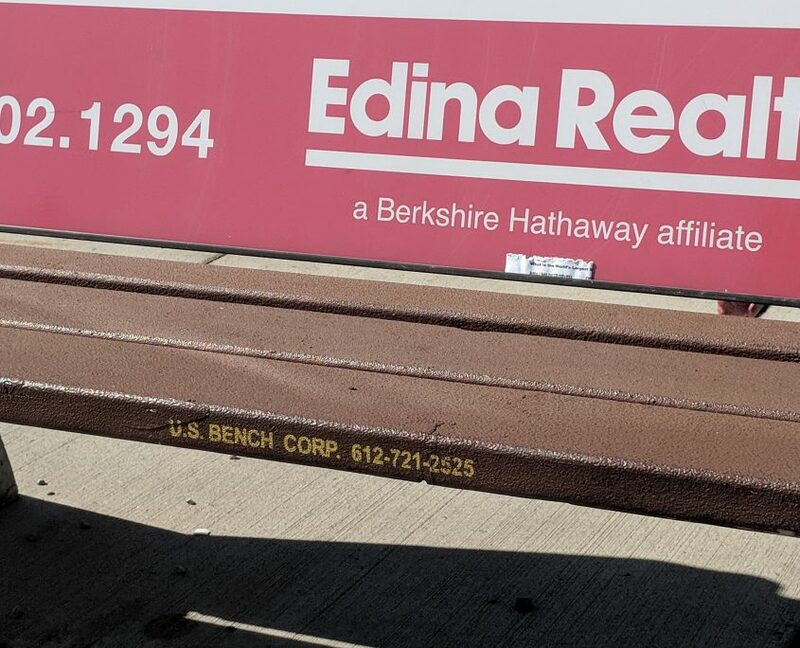 Little did I know, most benches in the city are from US Bench. For revenue, they sell advertisements highly visible on the bench itself for transit users. I guess this isn’t new, but didn’t know that one company provided most of these. According to one esteemed councilperson, they the Clear Channel billboards of benches and can possibly be used this winter to help build awareness for the Our Streets Winter Sidewalk Maintenance study and initiative. There’s always something special about taking a day to dedicate a city street to those to walk, bike, roll, stroll, eat, drink, and play. It’s all about the community, especially those with 4 legs. Often, the popular question, “can I bring my dog (or pet)” to Open Streets?”. Of course you can, they don’t worry about traffic, road diets, or infrastructure, and they’re cute, dangit. Music bonds people together. It makes sense that multiple musicians are always lined up. Pick your genre and you’ll mostly find it right on a street corner or a makeshift stage. Hot Pink Hangover played a a few acoustical sets on the NW corner of Nicollet and 35th. Sgt. Danny was cool enough to show me his cajon box drum along with his foot tambourine. These guys played right by the Driftwood Char Bar on the 44th block of Nicollet. They put on a great show including the accordion player/singer swinging his accordion like a flying-V guitar at times. Roadrunner Records always has some kind of outside presence. The last time I was here, they were selling vintage albums. This band outside was really catchy. I didn’t catch their name, but if you know please let us know in the comments! 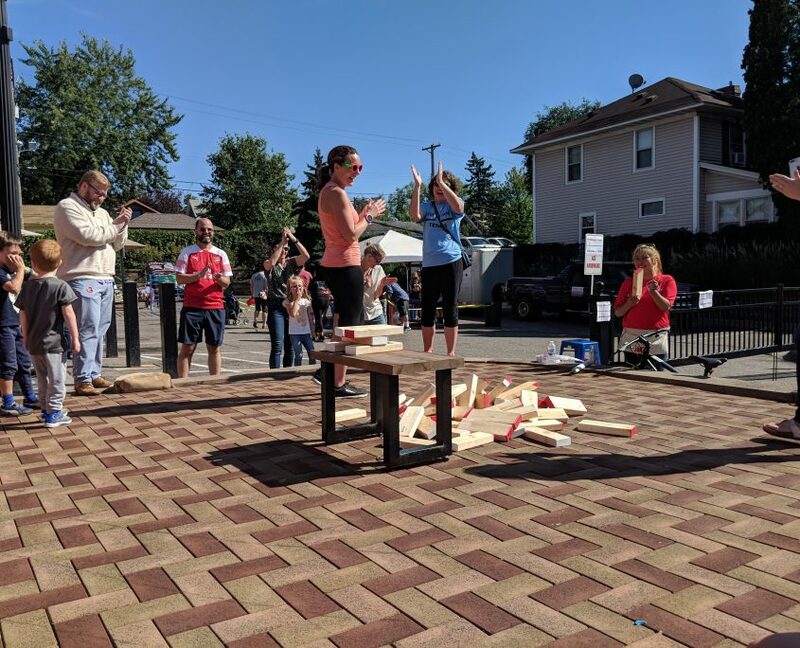 Where else can you close off a main street and play life-sized Jenga on the side? And there’s bike polo right on Nicollet. Better than car traffic. Our friends Beth and Tim helping people out at the Streets.mn booth. 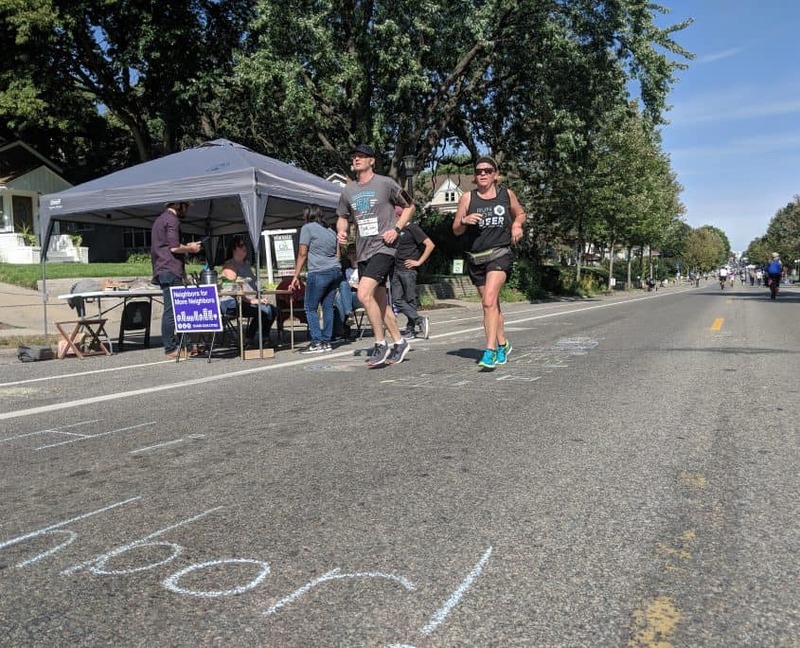 Of course, there were plenty of runners enjoying the event’s Run for Beer 5K-ish. 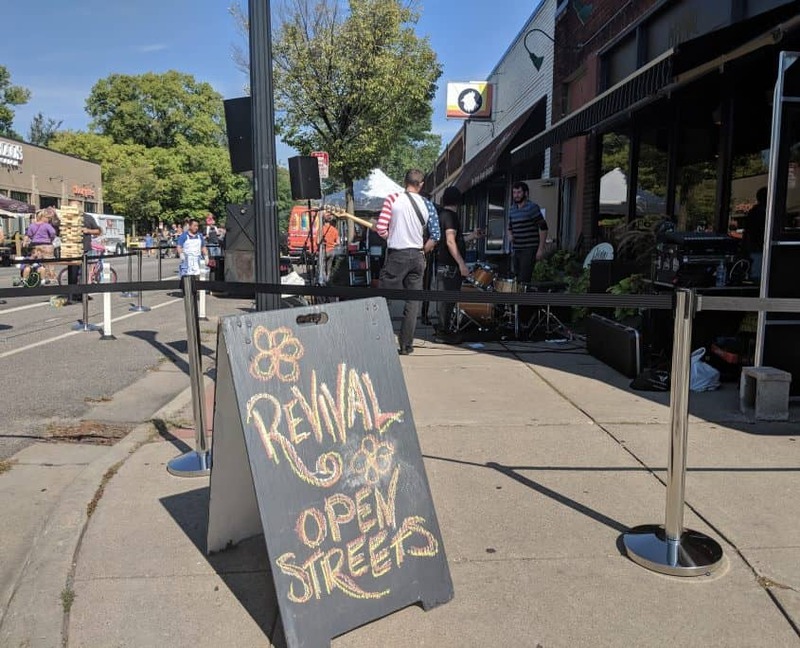 If you’re interested in sponsoring, getting a spot or volunteering for the upcoming Open Streets University of Minnesota + Motley Open Streets, you certainly can. I look forward to attending the event as I’ve never been to one at this location. More photos were originally taken for this post. If you like, there’s a shared Google Photos album for you to see as you please! LocalMN Interactive provides content marketing marketing and local search services to the Twin Cities area communities. Just like you should absolutely own your own website, you should also own all of your properties that have anything to do with Local Search. There are many properties different companies use in web builders, Google Accounts and social media platforms. We’ll stick with 3. WordPress, Google My Business and Google Analytics. It’s kind of hard to believe, but there are companies with deceptive sales tactics that allow you to have your site back once the relationship ends, but in chunks leaving it up to you to piece it back together. You’ll want to make sure that if you ever leave a company or agency, you have your site back full and intact. With WordPress, sites are pretty much built that way by default. First, just make sure you have a signed NDA to ensure you own all your web properties once the business relationship ends for whatever reason. 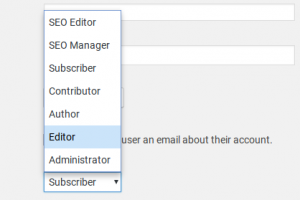 In WordPress, your web company can have different permissions. When the site is built for you, the company would need administrative permissions (status). Admissions status is also recommended for monthly and quarterly stats so your web company can continue with customized reports and actions. If you’re set with everything when it’s initially set up, you may want to think of giving them Editor status. Notice there are other permissions. You may want to inquire with your company what others are suitable. Google Properties make it really easy to add you to accounts. Although not needed, it’s even easier if you have your own Google Account which includes a custom gmail address determined by you. Google My Business (GMB) is your local search hub. You most likely have a profile whether you created one or not and you can find out by simply Googling your name. If you haven’t claimed your profile, you can start right here. Once the profile is completed you can add your hours of operation, write Google Posts, add photos and even an up-to-30 second video, and many of these 8 things you may not have known you can do. 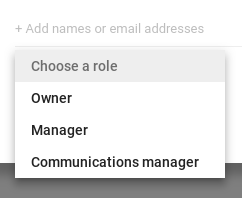 Once your GMB is set up, your web or local search company should eventually have Manager status. You’re the owner and should have Owner status. 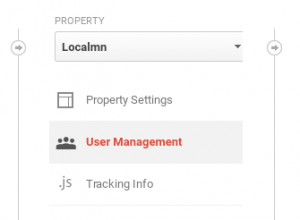 Manager status still lets your local search company perform functions and reports you need. In Google Analytics, it’s important that your local search company produces anywhere from overview to highly-detailed reports for you including recommendations. It’s also important for you to have access to at least the Read & Analyze level so you can access almost any data set you choose. Talk to your company to help determine which access you should have and this is all under User Management category in the Property settings. When you’re done working with the company for whatever reason, any reputable company will switch your access to administrative so you own complete control of it. There are many other sites that local search professionals use, although these 3 are flagship-type portals that you need to know your status, and the status of your web company. Let us know in the comments of sites or tools you use or local search company uses which gives you full control. LocalMN Interactive is a full, local web company including local search, responsive web design, UX, search marketing and Google Certified Street View Photography. 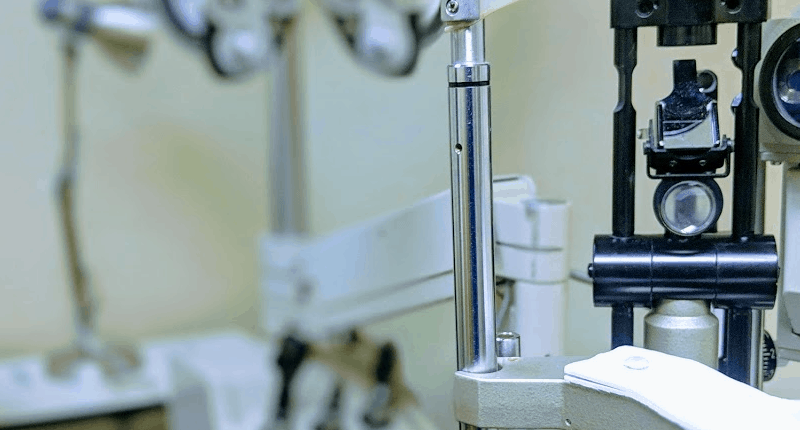 Contact us with any questions about our customized services. 2018 may be the most opportunistic year ever for local search. With Google leading the way and users and vertical markets working aside or within Google, the user experience promises the possibility to be both high in quantity and quality. I’m putting Voice Search in right away because it involves probably everything below, local or not. This is changing search fast and companies are busy figuring out how to capture the market. Here’s a real-time example. I would like to see Soul Asylum play tonight at the First Avenue, mostly because a neighbor or mine won an audition an earned a spot to play bass for them tonight. Yes. Really! I don’t want to miss that! A voice search gave me the Google My Business profile. It has the hours correct tonight as it does close publicly at 7:30 in time for the sold-out 8:00 show. When you tap on Directions, you will get an Uber and Lyft option which will be convenient when the temp is supposed to be below 0. Score “1” for Voice Search. Just one of many ways this changes all types of search, in this case Local just a bit. In 2017, Google was keeping busy pushing to Claim businesses in Google My Business, and then features within like Google Posts, Local Services Ads and Websites. In 2018 Google will focus more on continuous new features in Google My Business and push both new and current features. Following these alone can keep professionals pretty busy. Google Posts grows in 2018, but grows slowly. It was released in June, 2017 to be shown in branded searches and quietly used by few. They can be very informative for end-users and cover more valuable search result space for the branded company name. The Posts provide interest to click and learn more about events, newsletters, new offerings or any other thing relevant to the company. However, Search professionals have been weary of this all. Google owns the content provided and doesn’t pass any direct SEO Love to links that pass through. In a simpler word, Ad. Google pushes this hard in 2018. This is how Google makes money. Originally Home Services Ads, they rebranded it to include and imply Local. Companies won’t be looking at it based on their favorite keywords, but by the quality of leads. Local Service Ads do have a prominent, thin listing up top on both desktop and mobile. Google’s currently pushing it hard enough that even companies that don’t have the “Google Guaranteed” badge sometime appear, most likely because not every industry has enough participants yet. Right now, there are a very limited number of industries this is offered to. Look for this to expand, and expand greatly to cover industries like legal, landscaping and other industries to where people compare companies. Currently, all three of these companies are probably busy right now with the arctic chill Minnesota is having. Plus, maybe Google is banking on being listed next to Google Guaranteed listings will have some automatic trust. They’re nice, they’re free (unless you get a customized domain – recommended), it’s almost built for you in GMB. They also show maps, custom photos, fill-in-the-blank hours of operation. With that said, don’t look for this go grow in 2018. At least, not in the U.S. This is certainly meant to help Google, and that’s fine. In my view, they can have the data. Google Websites are probably best for businesses who are just looking for a 1-page brochure about their business. 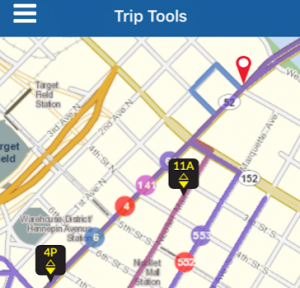 Google will either develop or buy a company who can provide real-time transit in 2018. Both Uber and Lyft obviously have this, and Metro Transit MN just came out with this feature on a mobile app or their website as well. I’ll bring up the arctic chill again. When a bus is late, this feature makes it handy by not having to stand outside quite as long when it’s really cold. The concept fits in perfectly for usability, placing inside the Directions and Bus tab in Google Maps. 2018 promises to be a big year for Google Local Guides. For Google, they get data. The Local Guides at Connect are passionate and happily contribute photos, reviews and knowledge to Google and GMB. Just look at the 2017 World-Wide Food Crawl Meet-Up. Main incentives for Local Guides aren’t rankings-based. Rather it’s points and levels obtained-based, sometimes meaning perks provided by Google. The other incentives are really satisfaction-based to bring positive awareness to make local communities better. Google knows and appreciates this all, and they even provide a yearly Local Guides Summit. Google cleverly builds on reviews in 2018 while Yelp confuses people. While Yelp is telling us to absolutely not solicit reviews but go ahead, Google just goes on and removes paid reviews. And now, it’s also against Google’s guidelines for ex-employees to leave negative reviews. With that said, Google highly encourages honest reviews. Albeit often indirectly, they highly encourage them. Here’s one way they do this and also reach your customers online and in person. Local Guides now get extra points if their Google reviews are 200 characters or more. Perhaps this increases the level of quality and reduces the number of 5-Star ratings with no reviews below it for the purpose of gaining points only. Reputation management companies have been around for years to encourage reviews and consulting when negative reviews happen, just to mention a couple services. There are good companies who offer this and have become trusted because of it. Some companies like Get Five Stars go further by developing more of a comprehensive platform. It’s built to acquire customer feedback, encourage online reviews and other features mentioned above. I see services like these all growing in 2018, albeit mostly with companies who already have a head start. It’s a growing and demanding opportunity, but also a comprehensive one. 2017 may have been the year of making more videos. 2018 will be the year of making more videos, smarter. DIY video can certainly be done on the cheap. Have a smartphone, tripod or monopod, lapel mic, iMovie app, and you can make an adequate one… or not. Companies may start with going the DIY route because it is rather inexpensive. Many of them afterwards will go towards independent companies, or agencies who specialize in videos. 2018 will be a really good opportunity for independent videographers. They know everything about video strategy and creation, as well as being search savvy. Some are confident enough to provide you free tips as well. Here’s Erica from Puke Rainbows on 2018 Video Marketing Trends to watch for. To become a Google Trusted photographer for this is a trial and error process. There are a number out there, coming from backgrounds from photography to marketing. Right now 360 photos for businesses are somewhere between the “this is really cool” stage and “this is really useful for our customers” stage. Only time will tell how accurate my predictions will be. I suppose another post will come at the end of 2018 to see. What do you think? Am I spot on for these or am I out of my tree? LocalMN Interactive provides Local Marketing services and we are beyond excited and very confident to see what comes in store for 2018. Let’s get together! We look forward to customize a local search strategy customized just for you. Skol! Two months ago, I wrote about Google Maps in Elliot Park. 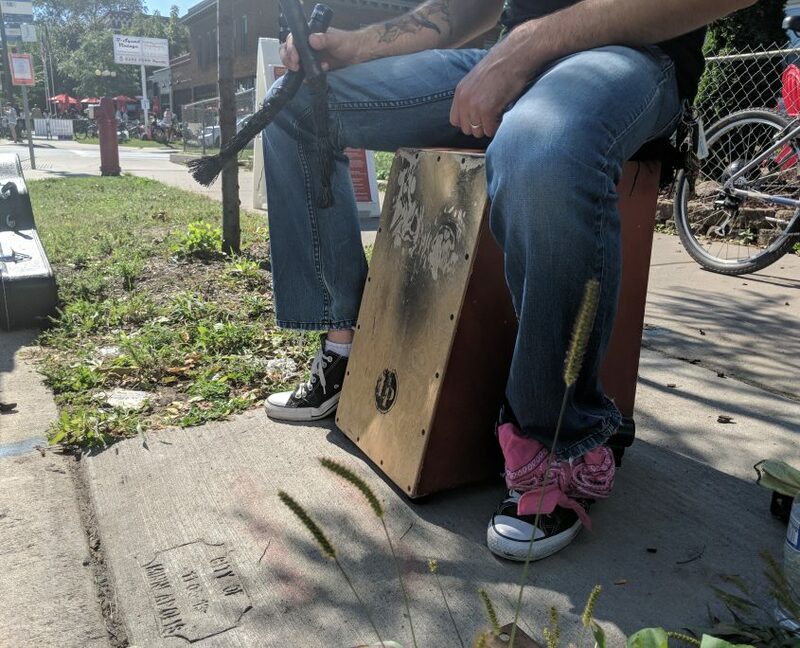 It was a #mspwalk and then blog post inspired by a coffee chat I had with Dan Collison, Director of so-many-things Minneapolis at Moose & Sadie’s. He mentioned and implied how Downtown East and Elliot Park (East Town) was growing and he’s right, more than I could have imagined! It’s really positioned well for it. On the west edge of Elliot Park and East Town, Kraus-Anderson (KA) is in the middle of re-developing an urban city block which features their new HQ that opened in October, luxury high-rise apartment, a Marriott, Finnegan’s new digs among others. What’s interesting isn’t that they’re building a square block, but where they’re building it. It’s technically in Elliot Park which was one of the wealthiest neighborhoods in Minneapolis 150 years ago. Now, it’s starting to become gentrified to bring back some of the old charm and prestige to the combination of Elliot Park brownstones to the modern Minneapolis skyline view. It’s a block away from the skyway system, and quick walks to both the Downtown West neighborhood and East Town, home of U.S. Bank Stadium. So far, the Kraus-Anderson block has their headquarters, Finnegans, HQ Apartments, and the Elliot Hotel, a Marriott upscale Autograph Collection either completed or under construction. All of these should benefit from quality Google Maps information including their respective, fully-populated Google My Business (GMB) pages. The Google Maps cars should be kept fairly busy in the near future as well as opportunities for Certified Google Trusted Street-View photographers to help fulfill Google My Business pages with quality photos. With products like Google Home and Google Assistant, the use of voice search is continuing to rise, and rise quickly. 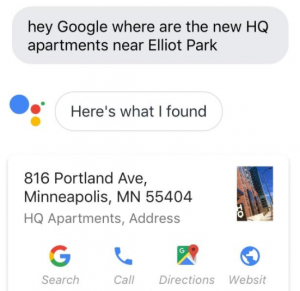 To the left is a voice search for the new HQ Apartments on the block. You then have the options to tap the bottom options or anywhere up top which takes you to their respective Google My Business page. There, you have more of the same options plus the ability to see all photos, ratings and reviews and anything else that HQ or the public decides to populate in the HQ Apartments GMB page. The mixed-used block is something that can at least help bring vibrant and tech-savvy consumers to the area. In addition to KA headquarters, here’s a bit about the mixed-use block and their post regarding the block’s components. 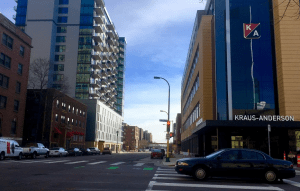 *The KA headquarters is the first completed component of the master-planned, mixed use block development in the vibrant Elliot Park neighborhood of East Town Minneapolis. US Bank Stadium is arguably the anchor of the East Town neighborhood with businesses, organizations and areas of interest being built or already present around it. 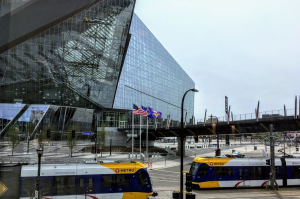 The area’s easy to get to by car, bus, pedestrian and bike, but is probably easiest via the Light Rail as the US Bank Stadium station holds both the Blue and Green Line trains. In addition, nearby blocks are often vibrant as local destinations. Here are a few GMB pages full of ratings and reviews, photos, directions and other items that uniquely fit in them. Note – Three of the above are in the Downtown West neighborhood. Between this and the Kraus-Anderson block being short and easy access to both I94 and I35, their block could be in a perfect location and local destination. This development of urban city blocks in Minneapolis isn’t the first, but it’s certainly not the last, either. 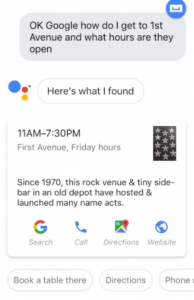 Initially called Home Service Ads in the Summer of 2015 to select-only metro areas, Google now re-branded it to Local Service Ads. For locals who do not know, Local Service Ads are designed to provide quality leads at pre-set prices and at the top of search results without you having to do the legwork. It’s still relatively new, so time will tell the value in them. Currently, these are the services. This will be available to Minneapolis and St. Paul by years end, and just as of yesterday, a partial one for locksmiths showed up. 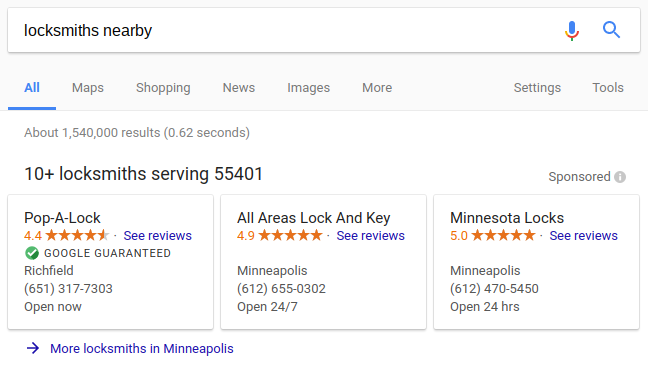 Side note, locksmiths have been known to use shady techniques to achieve local placements like providing fake addresses, spammy business names, and blatant review spam. 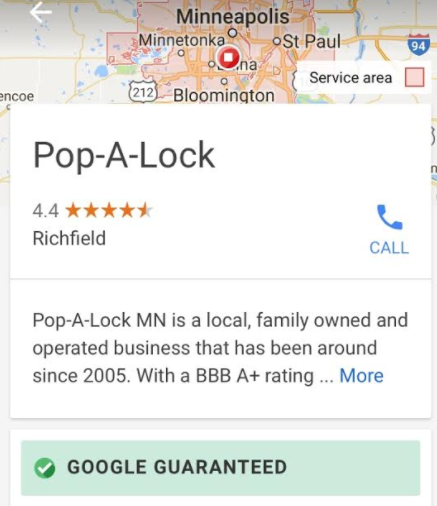 This happens in Minneapolis and St. Paul as well as nationwide and can make it more difficult for legitimate local businesses to claim these top listings. An edge for you is Google helps ensure company legitimacy when setting up local services ads. 1, the service costs money and 2, you have to be willing to provide insurance and let Google run a business background check on you. Similar to directory leads, inclusion includes directory placement in a particular niche, location or category. Some can be found in search results, too. You can also build trust with the Google check marked guarantee while also being at the top of their search results. If you know you’re good at closing leads, this could be really beneficial, and really measurable. If you close half of your quality leads, you can assign that incoming call a value to your leads in Google Analytics, making you more confident when providing your reports. In closing half of your leads, you would approximately close 5 out of 10 leads at $140.00, or $28.00/lead. There does seem to be a positive sliding type scale, costing you a little less per lead the more money you spend. When I checked, it costs $50.oo for anywhere between 2 and 10 leads. Yesterday in the Minneapolis area, locksmiths were 10 leads for the $50.00. Whether this is good for you is your call and budget. A plus is that Google does the work. A minus is Google does the work. As the service program becomes more used, the more information and specific examples we can give you as we’ll have all the latest info. 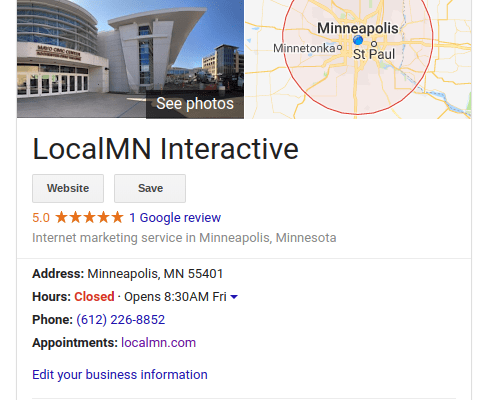 LocalMN Interactive provides Local Services Ads consulting in addition to our search marketing services, or as a service alone. Contact us through form, email or your preferred social media portal to chat and we can collectively get things started.